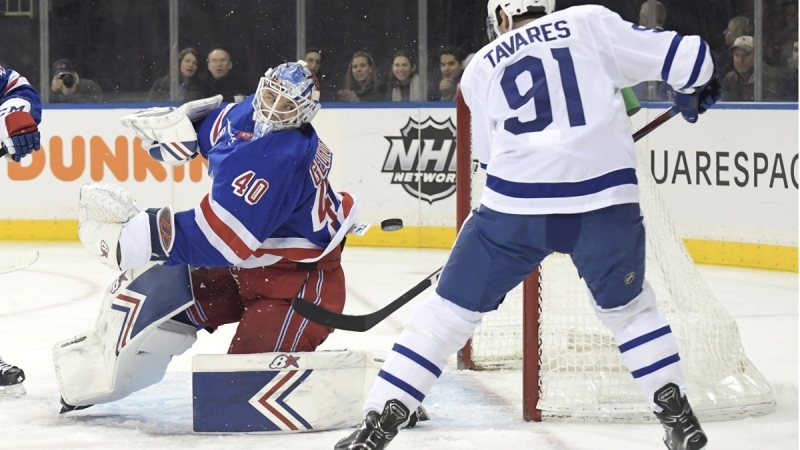 Alexandar Georgiev had a career-high 55 saves to lead New York over the Toronto Maple Leafs 4-1 on Sunday night. Georgiev had the second-most saves in a regular-season game in franchise history. Mike Richter has the record with 59 on Jan. 31, 1991.